Description: Cute home that could easily be converted into a 2 bedroom home if the laundry room is moved. Great possibilities! 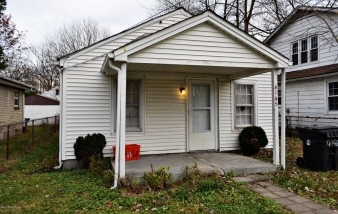 Great investment property, two bedroom homes in the area rent at a good income per month. Data believed correct but not guaranteed. Buyer to verify data prior to offer. Agents read agent remarks.